The ugly question: Is Brutalist architecture worth preserving? Forty years ago, one of the most visually-powerful complexes in the city opened. It was modernism rendered in concrete: jutting right angles, outdoor plazas, recessed slit windows to reduce the sun&apos;s glare inside the building. There was a swimming pool, a day care and a library big enough for 50,000 volumes. The design won a certificate of merit from the Chicago chapter of the American Institute of Architects before the building was even completed. The complex was the former Kennedy-King College, which opened in 1972. Two years ago, the huge complex, vacant since 2007, was demolished with hardly a blink outside of the Englewood community where the school was located. To some, the school was a near-masterpiece. To others, it was monumental, fortress-like and harsh. The old Kennedy-King was one of the city&apos;s most significant examples of Brutalism, an architectural style popular from the 1950s to about 1980. The term comes from the French phrase beton brut, meaning "raw concrete" and countless schools, libraries, universities, civic centers, hospitals, apartment houses and even a prison or two, were built in this style. But age and Brutalism&apos;s often cold and institutional look have now placed the buildings at risk. 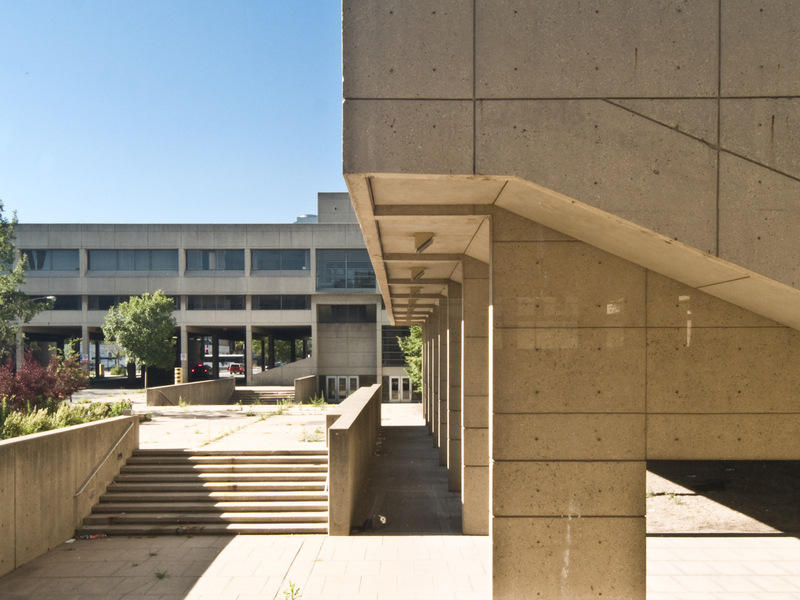 In Goshen, NY, the Orange County Government Center, designed by modernist Paul Rudolph, was so endangered that the World Monuments Fund put the complex on its watch list for 2012 (although officials are now seeking to repair the structure). Oklahoma City&apos;s otherworldly Stage Theater, damaged by a 2010 flood, could be razed next year. Last month, Baltimore&apos;s Mechanic Theatre, built in 1967, was spared from demolition for six months to give preservationists time to find alternatives to the wrecking ball. Brutalism occured at a time of astonishing advances in design and construction. How those advances were incorporated into the better Brutalist buildings might be of interest — certainly to future generations. 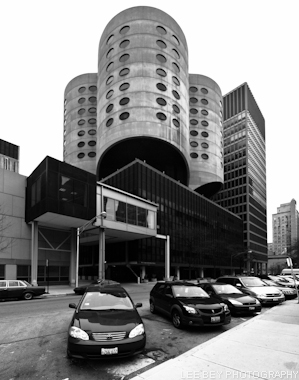 That Prentice&apos;s unique tower, for instance, isn&apos;t supported by interior columns, but cantilevers off the structure&apos;s core —like branches coming off a tree trunk — is phenomenal. Even more so, given Goldberg achieved this engineering feat with his own in-house computer company running aviation software on Control Data supercomputers in the 1970 — long before computer-assisted design was commonplace. Besides, preservation isn&apos;t always a beauty contest; it&apos;s about protecting important, groundbreaking and historic buildings, especially those designed by important architects. Brutalism can&apos;t be overlooked.